This aquarium plant is native to the island nation of Sri Lanka and it remains a very common and widely used aquarium plant. There are places where the plant was introduced like Florida and has become an invasive plant. 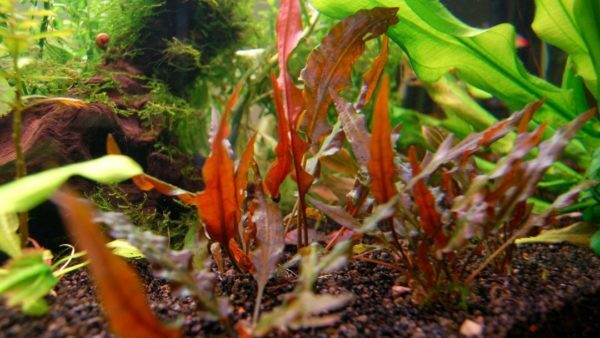 Cryptocoryne Wendtii is available in various varieties with some coming in color ranges of red, green, brown and other several color mixes. Due to the many varieties of the plant you will find a number of them having varied leaf size and texture. There are other varieties that will exhibit leaves that have sizes ranging between five to eighteen inches long. 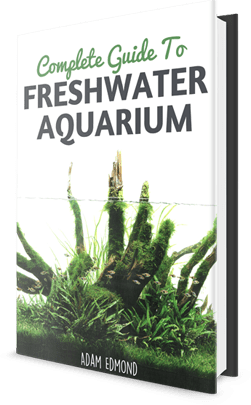 Growing this freshwater plant is easy and beginners can comfortably plant it in their aquarium without much hustling. It is a good choice of plant to choose because it can do well in both high light intensity and low light intensity. Even though the plant will respond to injection of an injection of CO₂, it is advisable to leave it without this injection. When you take this plant from its natural place and introduce in an aquarium setting, you will have to offer it stable conditions and be a little patient with it for it to adjust. Once the plant gets used to the new environment it will easily grow and thereafter no issues will interfere with its growth. The plant comes in different color variations which may include; green, brown and red. The size of the leaves is also varied with some being small, medium and others larger. The texture of the leaves also varies from one plant to the next. It is said the texture and color of the leaves is usually affected by the amount of light that the plant gets. That said more lighting tend to make the leaves of the plant to appear more brightly colored. The plants thrives where it is planted alone and not in groups with other plants. Cryptocoryne Wendtii is a plant that is native to the island nation of Sri Lanka. In its native land, the plant is usually found growing along streams and rivers. Basically, the plant is mostly found to grow in shaded areas where there is no chance of powerful and direct sunlight. It is a freshwater plant that will do better when it is placed in a freshwater aquarium setting. This plant is exceptionally hardy and therefore will not require much care from you to successfully raise it. This plant will easily thrive in an area of low light or even soft and hardy water. Growing it is easy so that even beginners will easily find success with it. With experienced hand though, the plant can easily be aqua-scaped into shapes that look amazing and fabulous. Once you have got it from wherever and want to plant it in your aquarium, you will need to insert it directly into the substrate. Once planted into the substrate the plant has a tendency of developing deep roots into the substrate. This is something that makes it a good aquarium plant to grow in a tank that has digging fish species such as the cichlid. For its more proper care, ensure that you regularly add fertilization to it and also don’t forget to perform water changes at least once per week. The plant will perform well even in low light conditions and therefore you shouldn’t worry much having lots of lighting for it to prosper. As you choose the kind of lighting to use in your aquarium for your plant, using a T5 or T8 fluorescent bulb can help bring about full lighting effect to it. If you have a problem with getting fluorescent bulbs you can still use LED lighting bulbs and the plant will still thrive. As you introduce the plant for the first time in an aquarium setting you will see leaves dying of but this shouldn’t alarm you as it is a normal occurrence. Beginners may think that the Cryptocoryne Wendtii has died off but after some time the plant will start growing new leaves that will spruce up beautifully to surprise you. The bottom line here is to be patient after planting in aquarium and things will definitely change to better. Just remove a small portion of the plant’s root that has got a stem attached to it. You will then proceed to plant this in the substrate which will slowly grow into a whole new plant. You can also just pull mature plants apart to create new plants that will then be scattered in the aquarium. These will easily grow into independent plants from the parent plant. Cryptocoryne Wendtii is so easy to deal with and most hobbyists are using it in their aquariums for decoration particularly in the foreground and in the mid areas of the aquariums. The plant is known to grow relatively small and is thus best suited just for the foreground and mid-ground areas of the aquarium. The plant is known to grow thickly and thus can be used to act as a cover for unsightly areas within the aquarium. You may not need to trim it as it usually remains relatively small in size so that trimming it may not give a very good sight. Cryptocoryne Wendtii is a plant that is native to the island nation of Sri Lanka which is a favorite amongst hobbyist aquarists. The plant doesn’t require lots of care and will thrive in areas of both high lighting and low lighting. In the wild, the plant is known to grow in streams and small rivers with fresh water. The plant can easily grow in both soft and hard water and therefore a good option for your aquarium. The plant grows relatively slowly and therefore requires patience on the part of the grower. For its successful growth in aquarium setting use fertilizers but there is no need to inject it with CO₂.